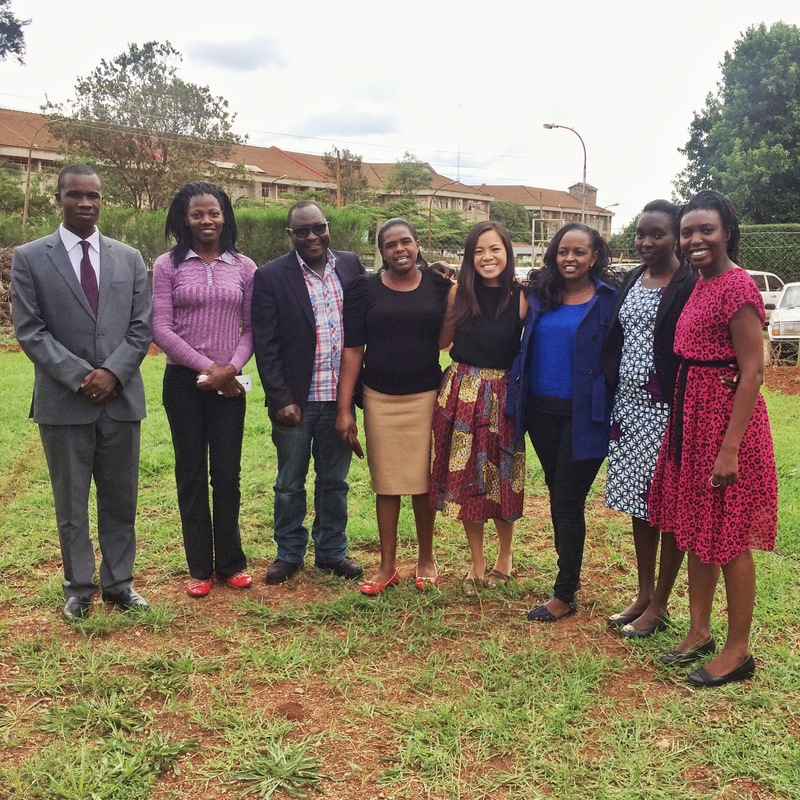 Fourth-year medical student Claudia Leung (fourth from right) worked with a team in Kenya to develop a healthcare model for patients with chronic diseases. 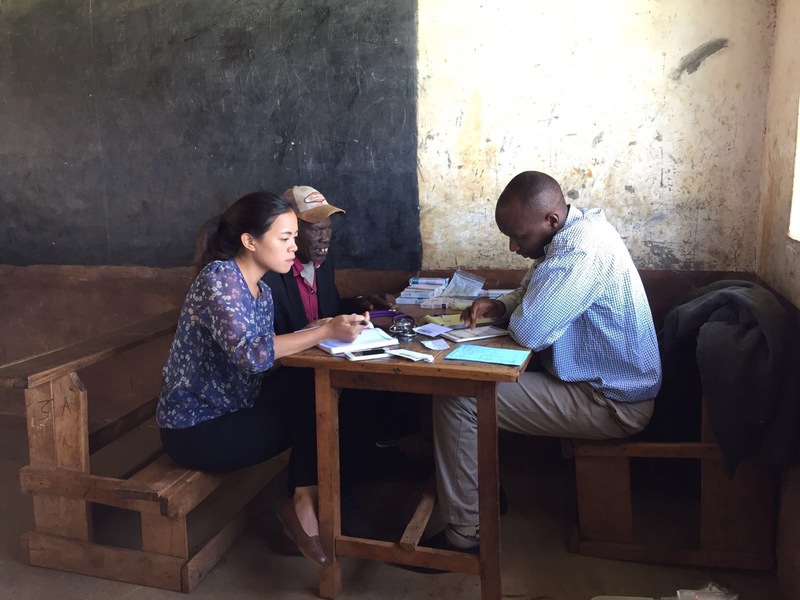 Claudia Leung, a fourth-year medical student, spent the past year in western Kenya conducting research to create an effective healthcare model for patients with diabetes and hypertension. Funded by a Doris Duke International Clinical Research Fellowship, Leung led the design process behind the development of the model, using community-based research and human-centered design. Her goal was to create a model of healthcare that would be created by the community members themselves. Last fall, Leung set out to do community based participatory research to gather information about the local community and learn about their barriers to care. She and her team conducted 21 focus group discussions including community members and clinicians. Discussion topics covered people’s experiences with the public healthcare system, traditional healers and private practitioners, with a focus on what healthcare is like for patients with chronic diseases. During the next phase of the project, Leung brought together a design team to review the data collected from the focus groups to develop a healthcare model. This team of about 15 healthcare professionals and community members met every week over six weeks. Leung visited and spoke to patients as part of the group medical visit while doing an assessment. 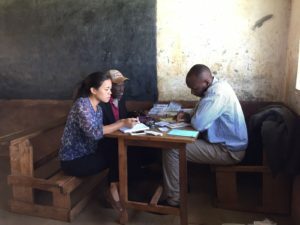 At the end of the six weeks, the design team had developed a prototype that could be tested in the community, which combines group medical care and microfinance. During the spring, her team implemented the first phase of the model, training community health workers and screening participants. After the model has been piloted for three months, the team will gather feedback, evaluate its effectiveness and modify it as necessary. This fall, the model will be used as the primary intervention for a randomized control trial. In addition to her previous global health experiences, the project has solidified Leung’s desire to work in global health in the future.